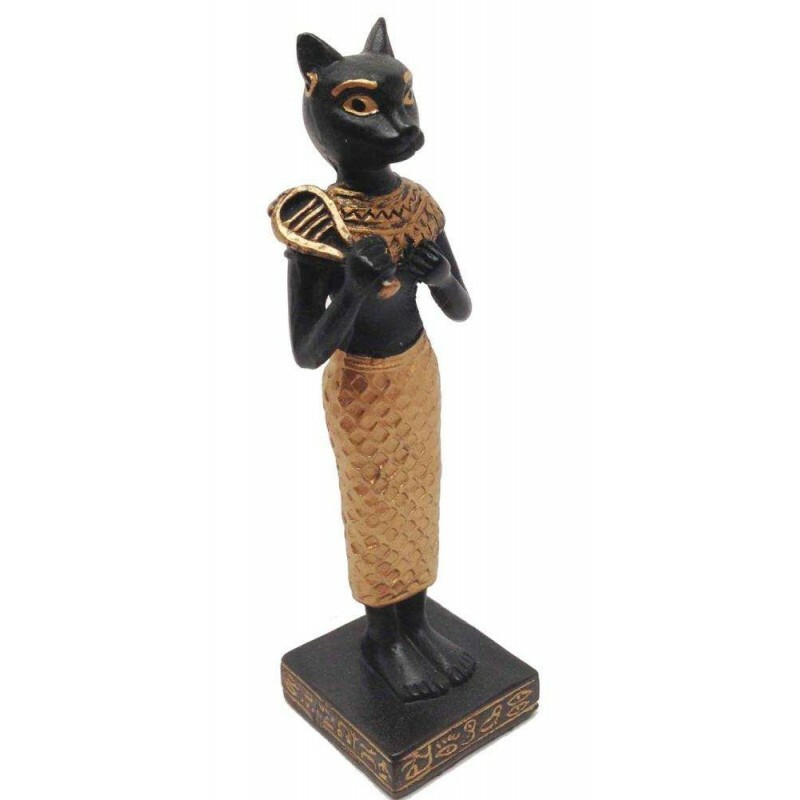 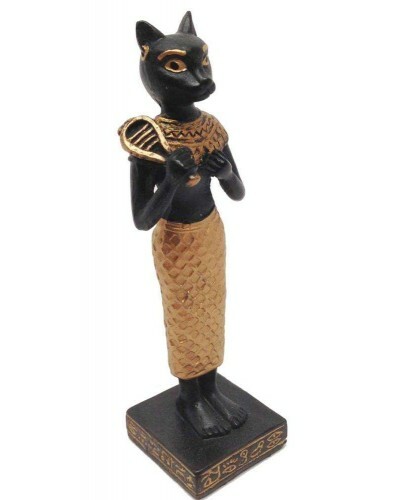 Beautiful statue of the Egyptian Goddess Bastet depicted as a cat headed woman holding a sistrum. 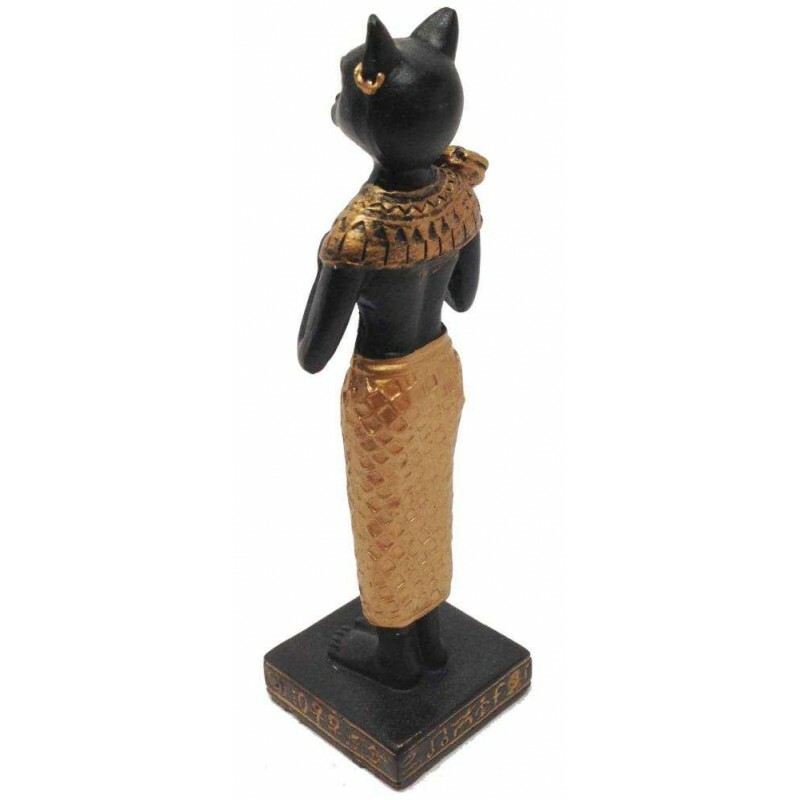 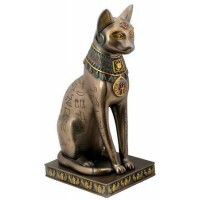 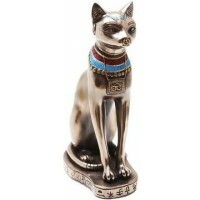 Bastet was the cat headed goddess of Ancient Egypt. 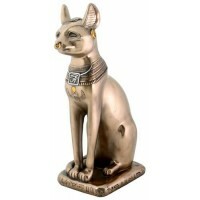 Lover of luxury, Goddess of joy and happiness. 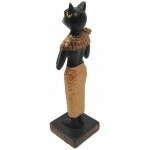 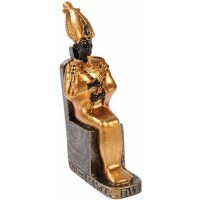 This beautiful cold cast resin statue is a tiny 3 1/4 inches high with hand painted gold detail. 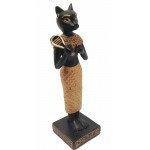 Item Number: PT-9533 | Approximate Size (Inches): 1.00 wide x 1.00 deep x 3.25 high | Approximate Shipping Weight: 0.50 lbs.